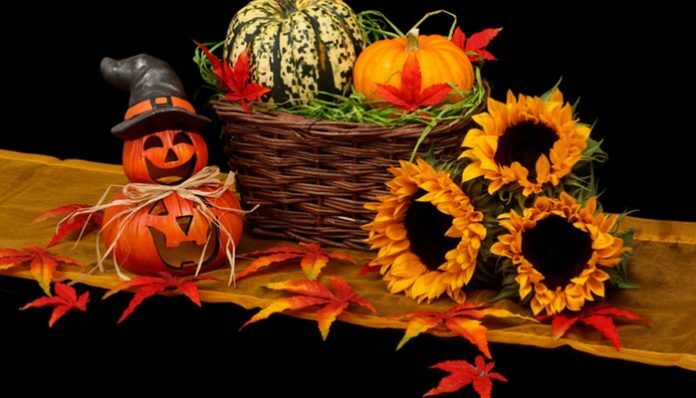 Summer is gone, so now it’s time to get your bums into gear and start decorating for fall. I love this season, it’s my favorite, but it can be hard to say goodbye to the hot weather. Although, sipping on some hot cocoa, or tea, with a warm blanket on the couch, does sound fabulous! Push your seashells to the side and grab some leaves, because the time has come! These tea light jars are the perfect introduction to fall for your home or office! All you need are some jars, and spray paints. Find the full tutorial over here. 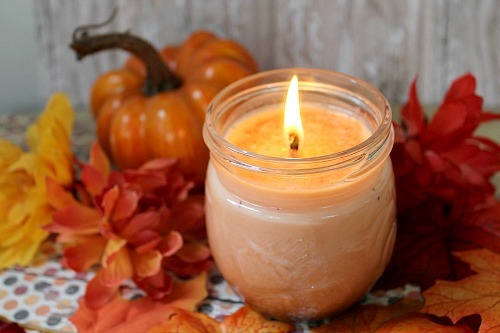 These autumn-smelling candles will make your home smell like fall. All you need are wax, orange crayon, pumpkin spice, nutmeg, cinnamon, and wicks. The directions can be found here. Grab some fake leaves, or some real ones with some paints, and your favorite sized paper cards to get ready for fall with your friends! This tutorial is quick and easy, and you can use them as Save the Dates for your Halloween Party while you pick our your favorite Halloween cards to surprise your besties with. 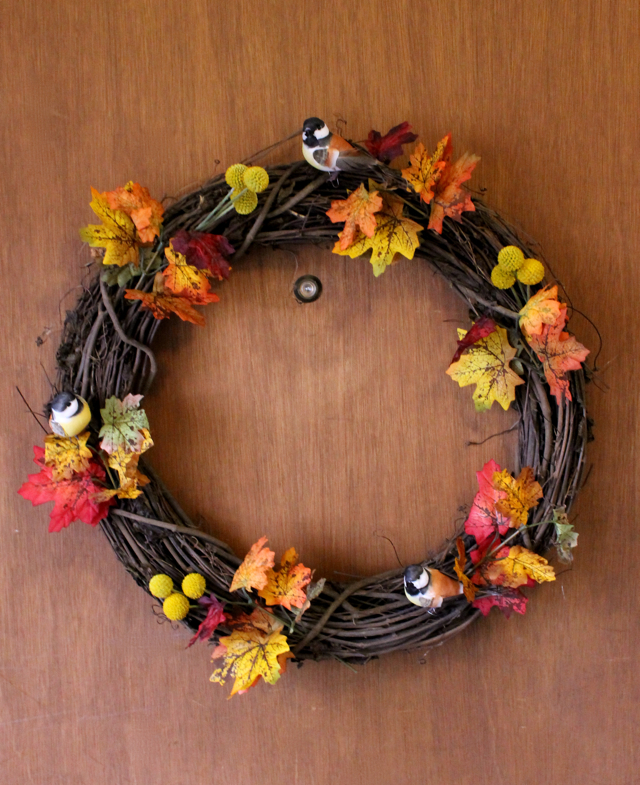 To decorate your front door all you need are fake leaves and a grapevine wreath. The rest is up to you on what you would like to add. You could add fake birds or autumn flowers. Find the step-by-step instructions here. Light up your home with these gorgeous seasonal candle holders. 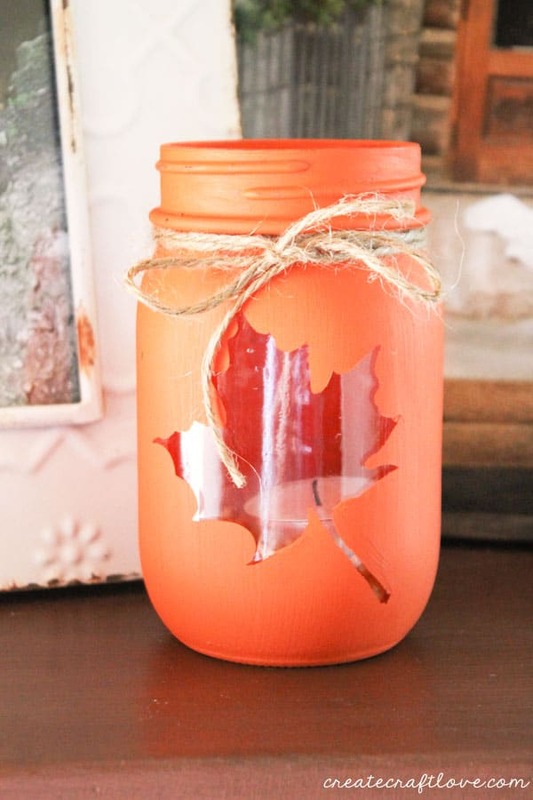 You can use real or fake leaves, mason jars, and mod podge. 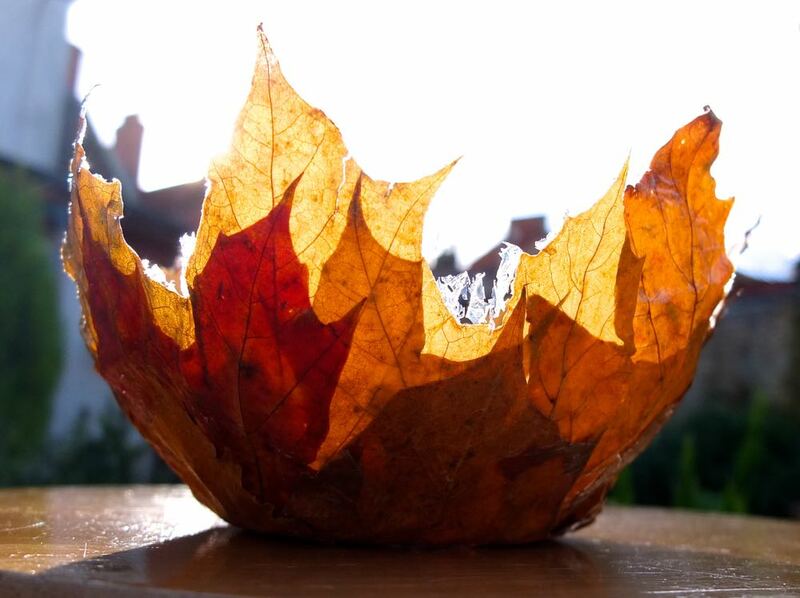 Find the tutorial here for a beautiful fall candle holder. Grab your Hodge Podge and party balloons for this crafty little bowl. Handpick your favorite faux leaves and place them on the top and sides of your balloons with your Hodge Podge or other favorite decoupage medium and get some acorns, candy corn, or scented pinecones ready! Fall can be the prettiest season if you go all out. Try those hacks to decorate your own house, and if we are missing something you do every year let us know in the comments below!